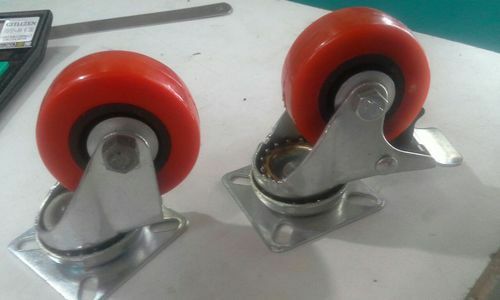 Owing to our expertise in this domain, we have been able to cater to the variegated requirements of the customers by by bringing forth a wide array of Industrial Casters. Owing to the features like superior quality, high strength and easy handling, these products are widely demanded. MS Fixed Swelling Castor offered find suitability for hand trucks/mechanical trolley. 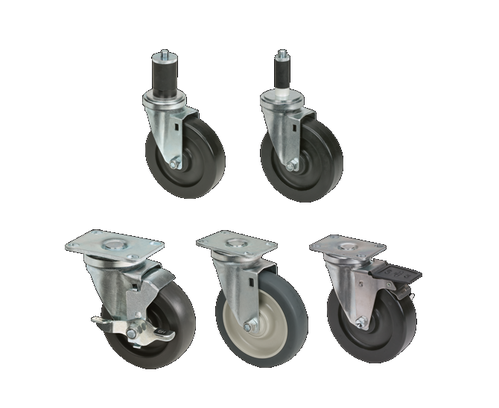 We are indulged in manufacturing, supplying and exporting a commendable array of Fabricated Heavy Duty Casters. These products are fabricated using high quality-approved raw material and other components in adherence with international quality standards. Further, our customer's can avail this from us in various sizes and specifications as per their requirements. Post-production, these products are stringently tested on industry set parameters. 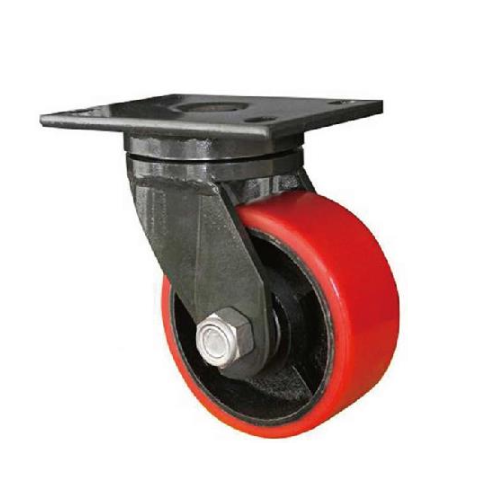 With the aid of modern tools and sophisticated technology, we have been able to put forth the clients an excellent assortment of Pressed Steel Casters. Developed as per the international quality standards, the range is appreciated for its attributes such as low noise operation,abrasion resistance,low rolling resistance and non staining & floor saving properties. Fabricated using premium quality injection molded polyurethane, the range is used to bridge the gap between rubber and thermoplastic wheels. 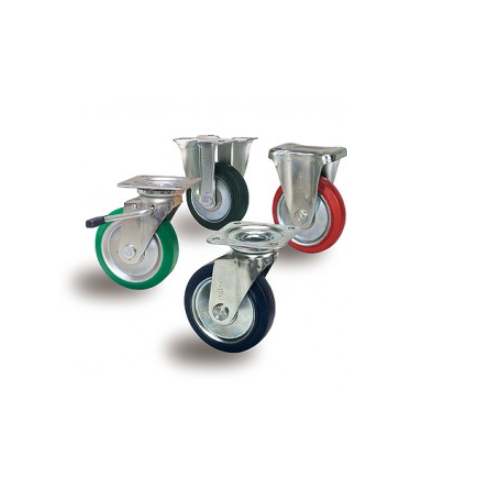 We are a coveted organization engaged in catering to the diverse requirements of the customers by providing them with a wide range of Fabricated Medium Duty Casters. Fabricated using premium quality mild and stainless steel plates,the range is appreciated for its quality, high strength and easy handling. Developed as per the international quality standards, the range can also be availed in customized specifications as per the requirements of the customers. Size range 50 mm to 300 mm.